The second saloon and estate to wear the A4 badge really did push Audi's compact executive model in among its premium rivals. The second saloon and estate to wear the A4 badge really did push Audi's compact executive model in among its premium rivals. Now firmly established as an alternative to the BMW 3 Series and Mercedes-Benz C-Class the A4's clean-cut style, solid, neatly designed interiors and range of efficient, but powerful engines - as well as increasingly competitive pricing - saw the Audi A4 steal sales away from the mainstream norm. The qualities that made it so appealing then, remain today, though that badge does mean it costs more than non-premium badged alternatives. Nobody can accuse Audi of not offering its compact executive saloon with lots of choice. Alongside the saloon there's the estate - dubbed Avant in Audi lingo - while there's also a Cabriolet wearing the A4 badge. The majority of models are front-wheel drive, but if it says quattro on the car then it's a four-wheel drive version. The engine range encompasses everything from a 100hp 1.6-litre petrol engine to a 4.2-litre V8 in the range-topping S4. Predictably, the majority of the sales volume for this smart business saloon featured diesel engines, Audi offering the A4 with the venerable 1.9-litre TDI unit, as well as a 2.5-litre TDI V6 with either 163hp in front-wheel drive guise, or 180hp in four-wheel drive quattro specification. The 1.9-litre TDI engine made up the bulk of A4 sales and was sold in various different states of tune, with outputs of 100- and 130hp. 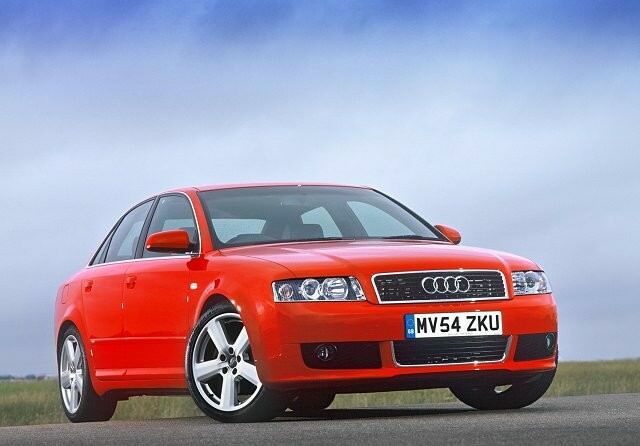 The A4 was offered with Audi's Multitronic CVT automatic, which included stepped ratios and manual control, though it was an expensive option and only featured on front-wheel drive versions. A conventional automatic was offered elsewhere in the range though five- or six-speed manuals make up the biggest proportion of available used cars. Interiors, praised heavily when new for their inherent quality and solidity, have worn well. The A4's cabin still looks relatively fresh and upmarket despite the oldest cars being over a decade old now. Avants (estates) offer some additional boot space, but if you're after wardrobe carrying capacity you'd be better to look elsewhere. Likewise, rear legroom isn't great for adults, though is passable for smaller children. There are a lot of A4s in the Carzone classifieds, giving you plenty of time to pick the right one. We'd be inclined to go for the 1.9-litre TDI engine, not just because of its ubiquity, but because of its decent economy. Official figures when new had the 100hp version using 5.5 litre/100km, the 130hp model 5.6 litres/100km. While the 130hp model is obviously quicker, the 100hp version is more than adequate, with plentiful mid-range torque making for easy cruising. The A4 is an eminently sensible and stylish used buy that adds a dash of upmarket premium feel inside and out - for not too much money. Sure, it'll cost a bit more to buy and run than its mainstream alternatives, but it'll always be worth more than them, too. That and there's the feel-good factor, the A4 one of those cars that, while not entertaining on the road, like its key rivals does deliver a big hit of owner satisfaction thanks to its inherent quality and style.